*Well, he says somebody ELSE suggested it. Here’s the best of the reaction tweets. TD MICK WALLACE has been having a chat with Marian Finucane on Radio One this morning, and he’s only gone and said the F-word live on air. The interview is finished now so we presume Marian is currently fetching her wooden spoon. Wallace waxed lyrical on his tax affairs, told Marian that it had been suggested that he and she had been involved romantically (she did not sound impressed), and talked about the time he’d been tempted to hire a hitman after a builder told him he ‘didn’t give a f***’ about money he owed him. Marian: Have you friends in there? So what did the proverbial Twitter have to say about the F word, and Wallace’s other musings? Email “Mick Wallace says f*** on the radio, suggests affair with Marian Finucane*”. 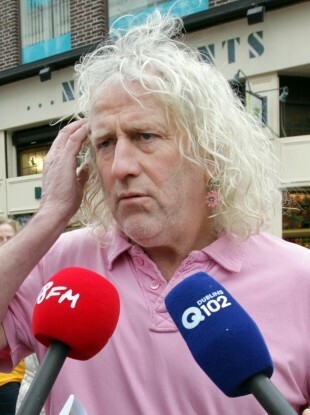 Feedback on “Mick Wallace says f*** on the radio, suggests affair with Marian Finucane*”.